What is holistic dentistry service in Sunbury? Holistic dentistry. It is mentioned on your favourite health talk shows, in blogs and magazines. You’ve heard friends and co-workers say that it’s great, and the people at the health food store recommended it. Everyone says to see a holistic dentist for mercury free fillings, but you know it’s more than that. Yet, you aren’t sure exactly what it does encompass, or whether you actually need the services of a holistic dentist in Sunbury. If the above describes you, don’t feel alone. Today’s focus on health, coupled with a growing body of scientific research, has led to a rapid rise in the popularity of holistic, biocompatible, and mercury free dentistry. It has also led to a lot of questions, as new patients discover the benefits of a different approach to oral health every day. Smile in Style has been providing quality holistic dental services to the people of Moonee Ponds, Sunbury, and nearby communities for nearly two decades. As a highly respected, long-established holistic practice, many people come to us for answers as well as treatment. The simple answer is that holistic services are right for everyone. Here is what you need to know. It is a philosophy. We strive to provide oral health care in the least toxic, most natural, safest, and healthiest way possible. There is no universal “best” treatment or product in any scenario, because every patient is different. In order to provide the best care, we must take the time to understand the goals, whole health, lifestyle, and unique needs of each patient. It is a simple, patient-centred philosophy, which is applied to every decision we make and every aspect of our dental practice. It is about the whole body. Conventional dentistry focuses very specifically on the mouth, almost treating it as if it were detached from the rest of your body. Maybe you are in poor health, have weakened immunity, or suffer from a systemic disease such as diabetes. That isn’t typically considered a dentist’s concern. Similarly, if you have cavities or periodontal disease, the dentist would focus on damage to teeth and gums. In holistic dentistry, we understand that systemic disease (or health) will affect your mouth, and vice versa. It is mercury-free. Amalgam is a common dental filling material that contains about half mercury. Its use is banned or strictly limited in several countries; see the EU press release link http://europa.eu/rapid/press-release_MEMO-17-1344_en.htm but Australia is not among them. However, amalgam has long been rejected by holistic dentists around the world, including Dr. Rose and the Smile in Style team. 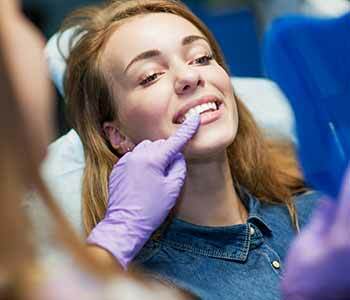 This is why Smile In Style is a mercury free dental practice and follows the safe amalgam removal process recommended by IAOMT, (International Association of Oral Medicine and Toxicology) . It is biocompatible. Many non-holistic dentists argue that amalgam is safe because the likely level of mercury exposure is low. Why do holistic dentists feel so strongly about it? There are a couple of answers. First, many studies contradict that common belief, indicating levels may be higher in some situations and that some people have lower tolerance thresholds. Second, we don’t believe in unnecessarily using toxins, even those deemed “safe enough.” Why use something somewhat toxic, if there is a less toxic alternative? Why use something slightly toxic if there is a non-toxic alternative? It’s not just about mercury. Like other principles of holism, this philosophy is applied to everything in our office. It is rooted in evidence-based science. Dentistry and the entire medical field are in a state of transition. With years of historical data and a wealth of new resources, researchers are advancing our knowledge of the human body at a lightning-fast pace. Some practitioners cling to the familiarity of conventional beliefs and techniques, and some quickly adopt new theories before they are well-proven. Holistic dentists and doctors are at neither extreme; we embrace proven science and technology that enables us to provide healthier care. It is not a specific procedure or technique. Every imaginable procedure, from teeth whitening, root canal therapy to dental implants, can be performed in a holistic way. It is not a regulated or officially defined term. The word “holistic” has a widely accepted meaning, as explained above. However, its use is not regulated by any dental board or similar organisation. Technically, any dentist can call himself or herself holistic. Dr. Rose is a dedicated, experienced holistic dentist, and a proud member of the IAOMT, the leading biological dental organisation. He has assembled a team of dentists and other professionals who share his passion for healthy care. If you have questions, or you are ready to discover the benefits of holistic dental services, just give us a call. You can reach our Sunbury office at 03 8001 6021 or our Moonee Ponds office at 03 8400 4104.